The 10 Best Hot Dog Joints in Indiana! 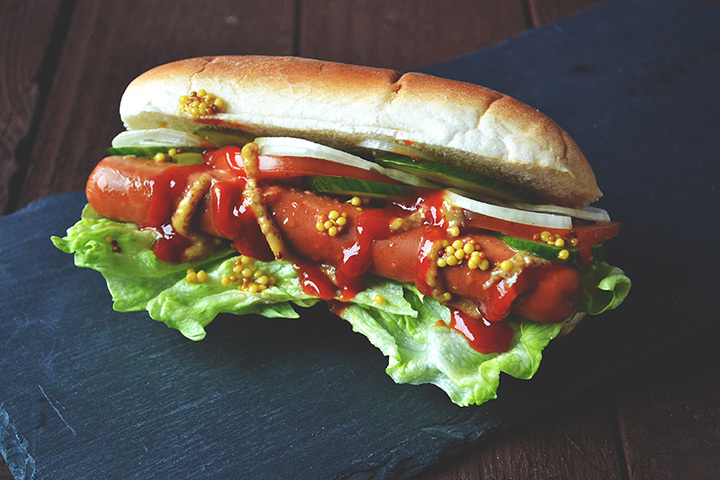 According to the National Hot Dog and Sausage Council, it is estimated that Americans consume 20 billion hot dogs per year. So, we think it’s fair to stay Americans love their hot dogs. And Indiana is no exception—with eateries serving up traditional greats and delicious creations with an Indiana twist. If you ever find yourself in the Hoosier State, be sure to check out these top 10 hot dog joints! If you ever find yourself in Kokomo, you absolutely have to make a pit stop into Louie’s Coney Island on East Hoffer Street. Louie’s Coney Island (also known simply as Louie’s) has been in business since 1937, and despite relocation and two tornadoes, this family owned and operated business continues to grow stronger every day. The food is fantastic (best Coney dogs in town), but what makes this restaurant even more special is the family atmosphere, thanks to current owner to Toula Volikas-Linville. One place you should visit for a good hot dog in Indiana is Mr. Garcia’s Hot Dog Cart in Indianapolis. Located at 16th and Emerson, Mr. Garcia’s is definitely one of a kind and an uncommon sight for a place like Indiana. The hot dogs are amazing, the ingredients are fresh, and Mr. Garcia himself is an absolute gem! It’s easy to see why Garcia’s Hot Dogs were voted #1 on the Indy A List! These authentic Chicago dogs are as good as they get! The atmosphere is one of a kind and definitely has a sports bar vibe. It’s a spot you must visit if you are passing through Indianapolis, especially during baseball season! After realizing in the early 1990s that there was no good place in Indiana to get a hot dog, Brent Joseph and his wife Hannah, decided to bring back the original King David Dog, an all-beef quarter-pound hot dog that had originally been sold in grocery stores and delis around the area under the Hene Meat Company in Indianapolis. The King David is a hot dog lover’s paradise, with dozens of toppings to choose from! Another unique hot dog joint in Indiana is Happy Jack’s Hot Dogs in Greenwood. Much like that of Mr. Garcia’s, Happy Jack’s is run out of a concession trailer on Main Street West. However, don’t let that discourage you! The food is fantastic and the service even better. Their loaded Jalapeno Jack dogs are to die for! Fort Wayne’s Famous Coney Island is a must see if you are headed north. Another family owned and operated business, Fort Wayne’s Famous Coney Island has been in business since the early 1900s (1916 to be exact). It is Fort Wayne’s oldest restaurant and one that continues to thrive every day, feeding generations of families. If you ever happen to find yourself down south in Indiana, make sure you make a stop at the Naughty Dog in Bloomington, Indiana. Locally owned and operated since 2009, the Naughty Dog uses kosher beef and the menu selections are endless. From Coney Dogs to Mexi Dogs, New York Dogs and more, this place is another hot dog lover’s dream. Indiana has no shortage of quirky, hot dog eateries. Located up north in Portage, Indiana, is Depot Hot Dogs. It’s a bit out of the way and off the beaten path, but sometimes the best of the best are not always the most obvious! In business since 1963, Portillo’s originally started out as a hot dog stand (also known as The Dog House), and has also seen some famous faces along the way (Mindy Kaling, Jay Leno, and Vince Vaughn just to name a few). Not too far from the Indianapolis Motor Speedway is the Mug-n-Bun Drive In, which boasts “You’ve had the rest, now get the best!” This restaurant has been in business since the early 1960s, and it still has the same retro vibe as an old fashion diner. Think Al’s in “Happy Days.” The newest addition to the Mug-n-Bun is their indoor seating area so that you can enjoy the ambiance all year round! Don’t feel like dining in? They also offer carry out!